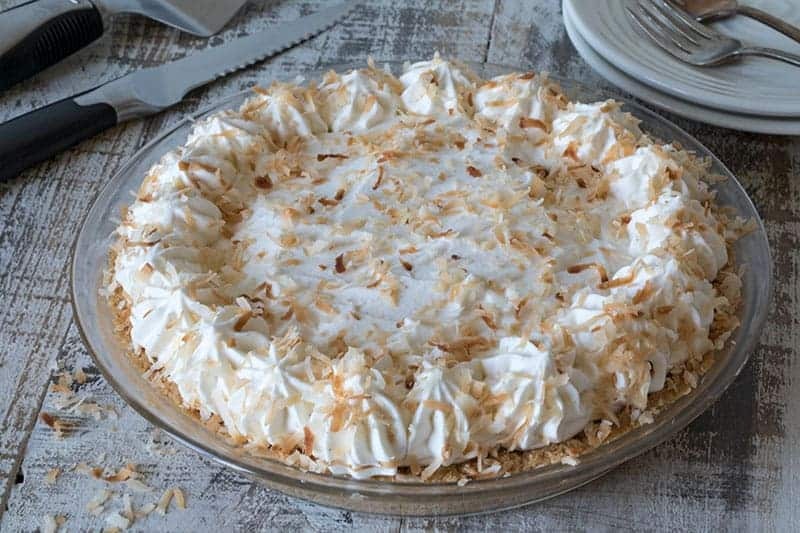 Coconut Cream Pie is a perfect pie for any season. I added a shortbread crumb crust to the rich coconut custard filling and topped it with vanilla bean whipped cream and toasted coconut. 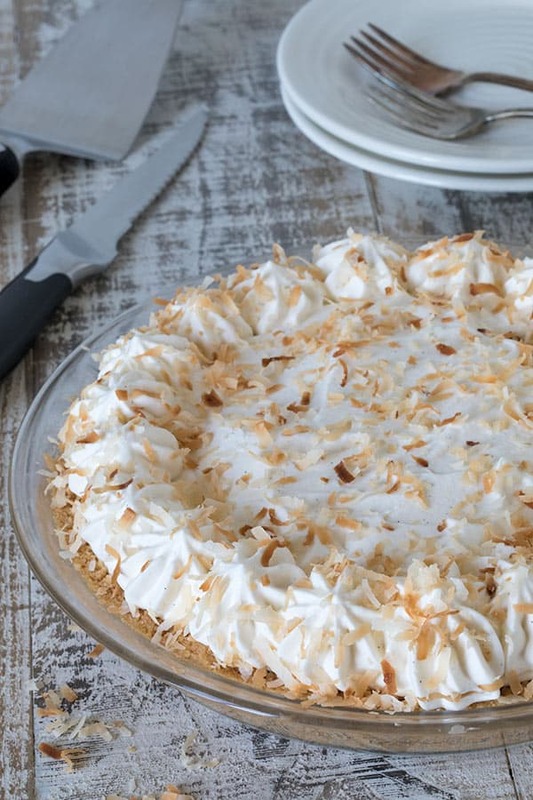 This summer I’ve been craving a cool cream pie, and this no-bake coconut version is fabulous! I did include a from-scratch shortbread crust in this pie because I prefer the flavor, the pie filling itself is classic no-bake. However, if you want to make the whole thing no-bake—to avoid the oven or to save time—you can substitute one of the ready-made graham cracker pie crusts available at the grocery store. 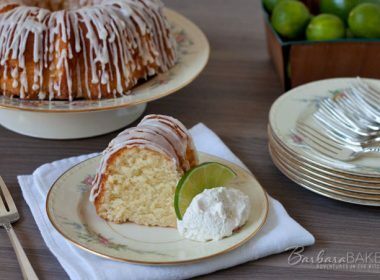 Recipe Round Up: I’ve joined a fun group of bloggers to put together a roundup of recipes on the first day of every month. 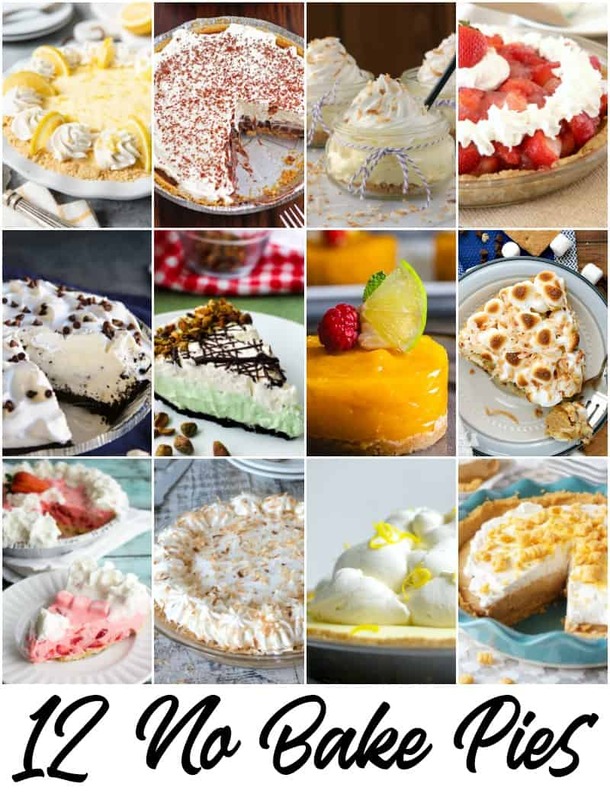 This month we’re sharing No-Bake Pie Recipes. 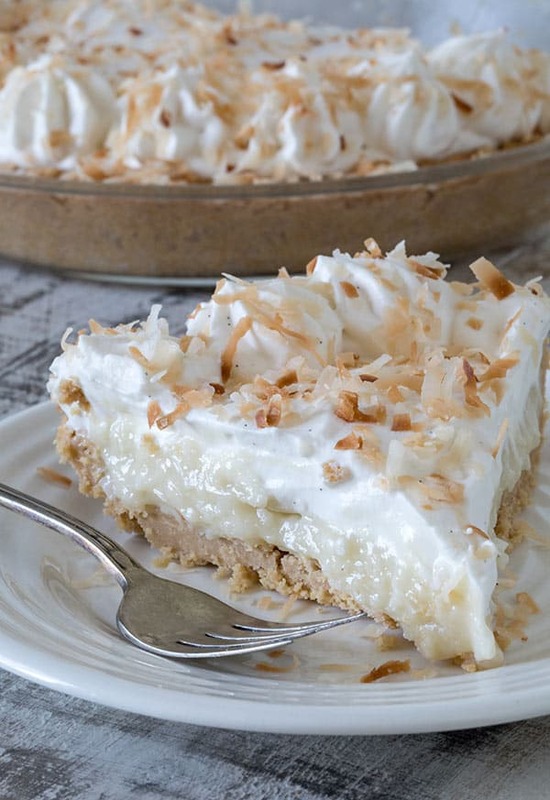 After you’ve checked out this easy No-Bake Coconut Cream Pie recipe, be sure and scroll to the bottom of the post for links to all the other great easy side dish recipes! 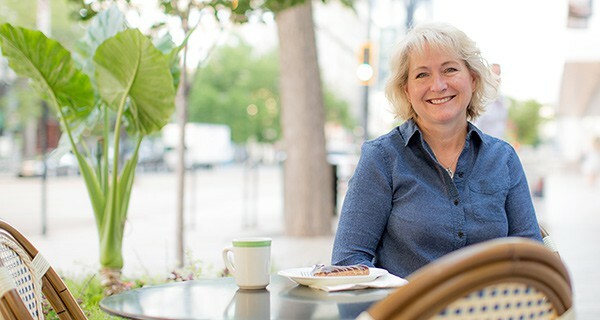 Lorraine, Not Quite Nigella, my sweet “adopted” Australian daughter, knows about my love of pies and sent me a wonderful cookbook, A Year Of Pies, one year for Christmas. Since I’ve been using more coconut oil, I was drawn to the coconut cream pie recipe in the cookbook. 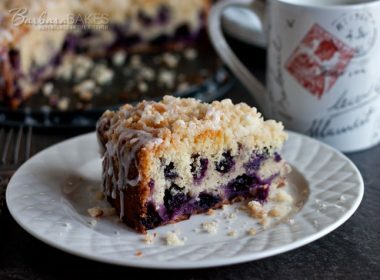 I substituted coconut milk and coconut oil for whole milk and butter in the filling. Instead of a traditional pie crust, I made a crumb crust with coconut oil and a package of shortbread cookies. 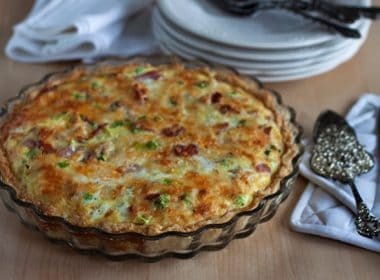 It was a great crunchy addition to the pie, and a nice contrast to the creamy filling. We love the Mrs. Thinster’s Toasted Coconut Cookie Thins that they have at Costco. They would also make a great crust for this pie. This pie is easy to make and comes together quickly—bookmark it to make at your next summer get-together! Preheat oven to 325º. 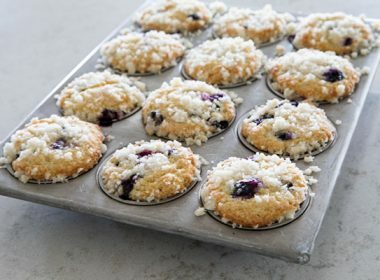 Crush cookies in a Ziploc bag in to fine crumbs. Add butter and toss until well combined. Press crumbs evenly/firmly into bottom and up sides of a 9" pie plate. Bake until about 10 minutes until crust starts to brown. Cool on wire rack to room temperature. Combine the sugar, cornstarch, and salt in a medium-size saucepan. Add the milk and bring to a boil. Cook 2 minutes, stirring constantly. Remove from heat. Remove 1/2 cup of the cooked mixture and pour it slowly in to the beaten egg yolks in a small bowl, whisking constantly until thoroughly combined. Add this mixture to the saucepan. Cook over medium-low heat for 2 to 3 minutes, whisking constantly, until mixture thickens. Remove from heat. Whisk in vanilla and coconut oil. Beat until the coconut oil is fully melted and the mixture is smooth. Stir in the coconut. Transfer the coconut custard to a medium size glass or ceramic bowl. Cover and allow to come to room temperature. Once cooled, pour into cooled crust, using a spatula as necessary to distribute the custard evenly. Pour the cream into a medium-size bowl. 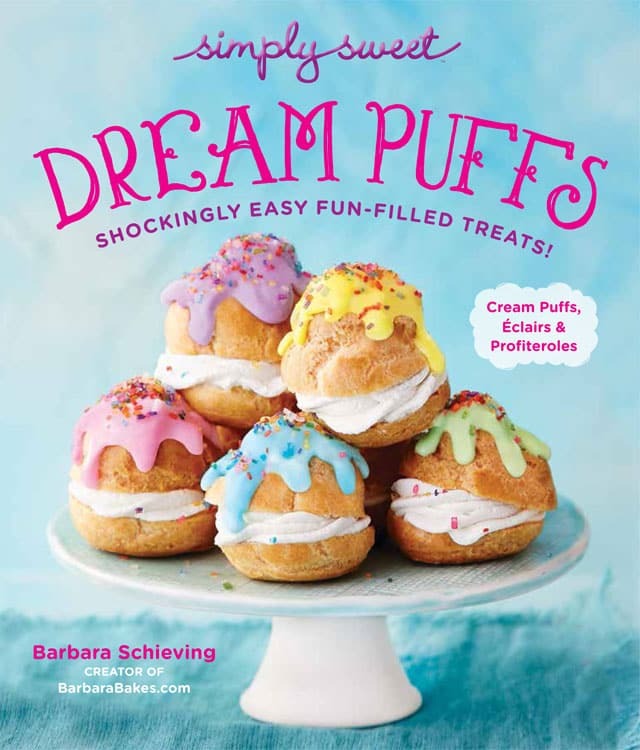 Add the powdered sugar, and vanilla bean paste and using either a mixer or whisk, beat the cream and powdered sugar until soft peaks form. 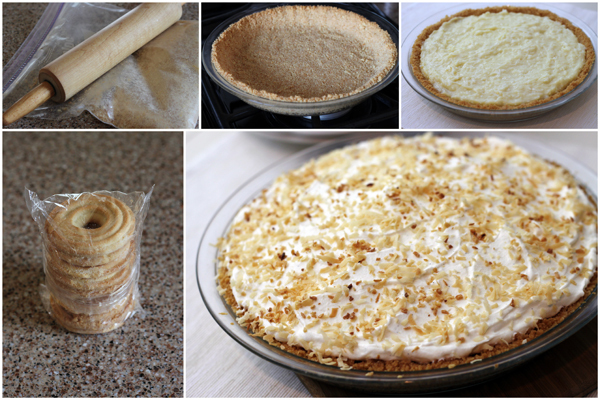 Pile the whipped topping over the pie, mounding in the center and covering the filling completely. Sprinkle the toasted flaked coconut evenly across the top. At the request of a friend who wanted coconut cream pie with a chocolate crust, I made that recipe listed here. It was good but the coconut custard just wasn’t exactly what I wanted. She again requested the pie, so I decided to try this custard instead and still go with the chocolate crust. Unfortunately the custard didn’t set this time. I didn’t know what the problem was, I followed the recipe to a T. I went with another recipe to finish the pie (I hadn’t poured the custard in the pie) instead. While making that one, I realized making that where I probably went wrong. This recipe says to “add the egg yolk mixture to the saucepan. 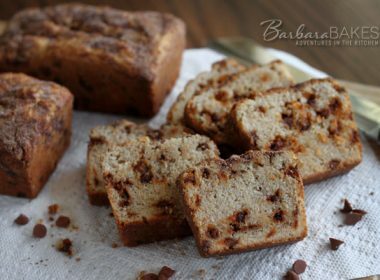 Cook over medium-low heat for 2 to 3 minutes, whisking constantly”. I checked the original recipe I used from this site and it says “return all of the mixture to saucepan. Cook and stir until bubbly. Cook and stir for an additional 2 minutes”. I did not bring this recipe to a boil after and only heated it for the 3 minutes as stated. Disappointed. Hi Leigh – sorry the directions weren’t more clear. I’ll update them. Thanks.